Dimac red operate since 1998 under quality system in accordance to ISO 9000 standards and has been certified to the latest ISO 9001 ed 2015 standard. We are an approved supplier of several major electronics companies. Quality is not a static objective and quality standard is used as platform to improve Dimac red operating systems and achieve a greater appreciation from our customers. Dimac red have also among its personnel a LEAD AUDITOR. 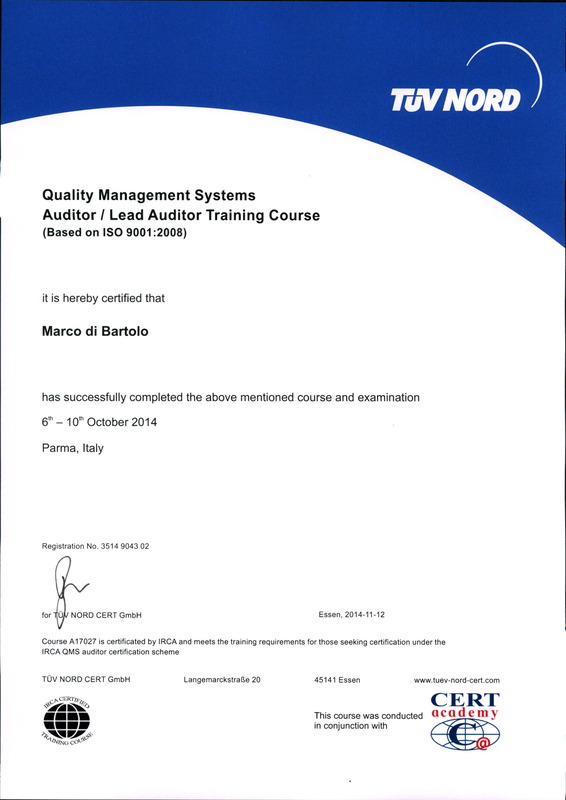 This is a internal quality Auditor with many years ISO 9001 experience, that furthermore attended a specific 40 hour course, and passed the final exhamination, to be allowed to perform external third party audits. Dimac red Lead Auditor exhamine Dimac red suppliers by on site supplier quality exhamination. This is a plus for our final customers. TRACE has transitioned to a robust on-line Third Party Management System. Now that all of this information is available on-line, certificates will no longer be issued. This will ensure that everyone in the TRACE community is accessing the most recent due diligence report. After logging in to TPMS a copy of the report can be downloaded and saved in your local media.